Dream Lake - Midnight Sun. 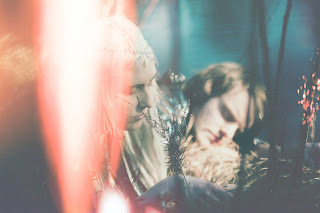 Background - So the summer is finally here and so is the latest single by the Swedish electro-pop act Dream Lake. 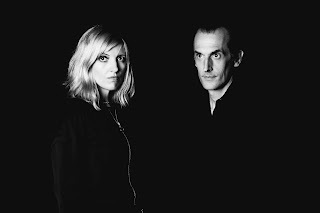 Consisting of Isabella Svärdstam and Niklas Willar Lidholm, the band has already released an EP and have quickly stocked up a good number of Spotify plays. That automatically created a demand for more of their music to be out and here is where we’re at exactly, whole new material. 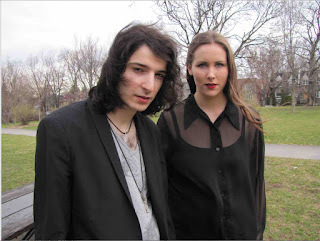 The new single ‘Midnight Sun’ is taken from their forth-coming ‘Lux’ LP, and is produced remotely by the duo themselves. Niklas’ and Isabella’s hard labour, irrefutable talent and artistic independence seem to be paying off by having already gained the support of Konbini, The Line Of Best Fit or Ja Ja Ja Music to name a few. Major Leagues - It Was Always You. 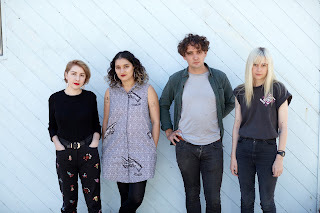 Background - Brisbane garage pop four-piece Major Leagues hae just dropped their debut album 'Good Love'. Already receiving rave reviews 'downunder' the album is now available across all digital platforms worldwide. The band have toured relentlessly over the last three years since their debut EP and have played alongside an exceptional lineup of intenrational and local Australian talent including the likes of Alvvays, Beach Fossils, Wild Nothing, Wye Oak, DMA's, The Preatures and San Cisco. Good Love was produced by acclaimed Australian artist Jonathan Boulet. Discolor Blind - Black and Grey. Background - If a musician’s creative output is intrinsically linked to the journey that brought them to that point then it is hardly surprising that Discolor Blind’s debut EP 'Long Vivid Dream' is a mercurial blend of flavours and genres. The journey taken by frontman Askhan Malayeri has been one that has taken him from his native Tehran to Cambridge and London and then across the Atlantic to Canada, where he established his own studio and began pulling together all of the ideas that would weave together as his first significant release. This is as much a show case for Ashkan’s musical skills, from composition to lyric writing to multi-instrumentalism to production, as it is a suite of songs in its own right. This EP not only connects the dots of his musical learning, but also connects the flavours of the cultures he has lived in and the styles that have influenced him. Andrew Johnston - Redheads (Video premiere). Background - Today we have the new video for "Redheads" from Andrew Johnston's new album "The New Great Game." It was directed by Sinbad Richardson who has worked with various notables including Sam Roberts, Plants and Animals, and Young Galaxy. 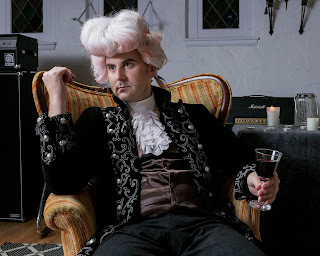 On his latest album, the Murray Lightburn (The Dears) produced “The New Great Game” Andrew Johnston paints in broad, expansive brushstrokes, delivering 12 killer rock anthems for troubled times, with just enough redemption to keep hope alive. Growing up in Ottawa and now calling Montreal home, Andrew has had the great fortune of a career that has included work with some of Montreal’s finest including Richard White (Besnard Lakes), Rishi Dhir (Elephant Stone), George Donoso (Sam Roberts, the Dears), JF Robitaille and many more. The Dot And The Line - Draw Me In. Background - English duo Dot and the Line’s have released their alluring debut single “Draw Me In.” Based in Los Angeles and consisting of keyboardist, guitarist, and programmer Ned Douglas and vocalist Hetty Clark, The Dot and The Line were born from a shared love of classic downtempo electronica and dark cinematic soundscapes. The Warp/The Weft - Briars. Background - “Briars” is powered by amazing spine-tingling, expressive high-register vocals by Shane Murphy. This song is a dark, haunted ballad that begins solidly in the folk rock tradition but gradually builds into a crescendo assault of rock grit and psychedelia. “Briars” is by The Warp/The Weft and is released on Admirable Traits Records, based in Buffalo, NY, USA. 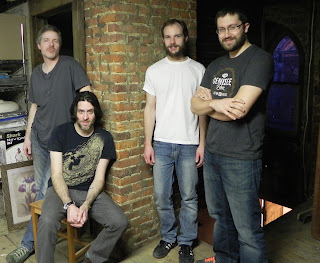 “Briars” is a single from the forthcoming album, “Mapping an Absence,” which will be released at the end of July.